This information below is provided by the Marin County jail to all defendants charged with a “DUI.” If you didn’t get this “courtesy” copy from the jail here it is for your convenience — courtesy of Fiumara & Milligan Law, PC. DUI is an acronym for driving under the influence. A person is guilty of DUI if he/she drives or is in actual physical control of a motor vehicle and is under the influence of alcoholic beverages or any chemical or controlled substance to the extent that his or her mental faculties are impaired. Driving while intoxicated laws were created to prevent potential drivers from driving while they are under the influence of drugs or alcohol. California laws are some of the strictest in the United States. The legal ramifications for driving under the influence in the state of California depend on two decisive things: exactly how much alcohol was found in the body, and prior DUI arrests or convictions. After being booked at the jail, you were released from custody with a promise to appear in court. You were given paperwork with the time and date of your first court appearance. On that date and time, you need to appear on the court floor. You will not receive any notice in the mail; the paper you are given when released will be the only notice you receive of the court date. If that court date does not work, you can call the court and schedule another date. If you do not show up at court, a warrant will be issued for your arrest. Your initial court proceeding is called your arraignment. At that time, you will be advised of your rights and advised of whether or not the district attorney has decided to file charges against you. 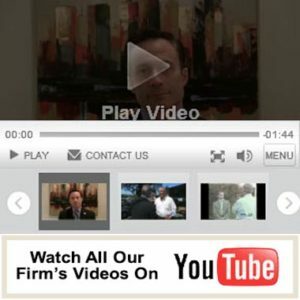 You will sit and view a short informational video describing the court process and your legal and constitutional rights. You do not need to have an attorney at this initial court proceeding; however, you may consult a private attorney at any time. If you can not afford an attorney, this is the day you will be referred to the Public Defender’s Office to apply for a free attorney. If the district attorney decides to file charges against you, you may have the opportunity to plead guilty and be sentenced, or you can continue your court proceedings to another date. At some point during the arraignment, the judge will ask you to enter a plea. At that time, you must plead guilty or not guilty. If you plead guilty, the judge will likely pass sentence immediately. Most first-time DUI crimes entail, at minimum, two days in jail, participation in a drinking driver program, and fines and probation. If you enter a not guilty plea, your court proceedings will continue at a future date. If you had your driver’s license at the time of the arrest, the arresting officer took your license and mailed it back to the Department of Motor Vehicles. The pink sheet of paper you received that is titled “Admin per se form” is your temporary driver’s license. The DMV provided you with that form, which allows you to drive without restriction, for the next 30 days. You need to carry it with you just like your driver’s license. Within the next 10 days, you need to contact the Department of Motor Vehicles to request an administrative hearing so you can apply to get your permanent license back. If you don’t, your driving privilege will be suspended. To get more information regarding your suspension of driving privileges due to a DUI, go to the California DMV website: www.dmv.ca.gov. At the time of your arrest, the arresting agency may have left your vehicle at the scene or your vehicle may have been towed. If towed, you need to call the towing agency and inquire as to what it needs to release your car back to you.